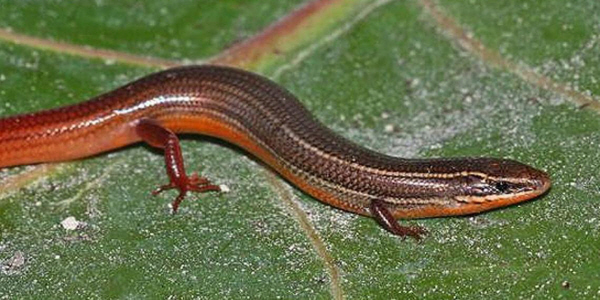 The Center for Biological Diversity is raising the alarm for the Florida Keys Mole Skink. The pink-tailed lizard lives along the shoreline in the lower Florida Keys. It is threatened with extinction by climate-induced sea level rise and encroaching development. [Monday’s] filing noted that the U.S. Fish and Wildlife Service denied the skink protection in October despite devastating threats from flooding caused by rising seas, which are expected to inundate nearly half the lizard’s coastal habitat and underground burrows by 2060 and accelerate through the end of the century. 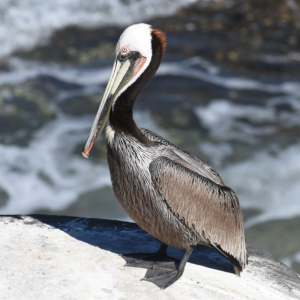 Along with climate change, the animal is also threatened by ongoing urban sprawl in the Keys. In April 2010, the Center for Biological Diversity filed a petition with the U.S. Fish and Wildlife Service “to list 404 aquatic species from the southeastern United States, including the Florida Keys mole skink, under the Endangered Species Act.” Despite initial positive reviews from the federal agency, the Center has had to file years of legal actions to move the petition along. Then, after violating a court-ordered deadline of September 30, 2017, the federal agency abruptly denied the Florida Keys Mole Skink any protection. Florida Keys mole skinks can be found in the lower keys in Monroe County, Fla., and are known from the Dry Tortugas. They live along the shoreline around 20 to 31 inches above sea-level in sandy areas where they burrow into the soil and use driftwood, debris and tidal wrack as cover. 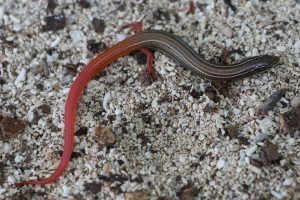 Although population size for the Florida Keys mole skink is unknown, they have been in steady decline, with one estimate concluding there are between six and 20 populations left. Because they live on shorelines, Florida Keys moles skinks are imminently threatened by rising seas, which are projected to continue to rise 14 to 34 inches by 2060, and 31 to 81 inches by 2100. The decision to deny protections to the skink only looked at a 30- to 40-year timeframe, finding the species will lose at least half its range to sea-level rise during that time. The decision ignored available projections that reflect 100 percent habitat loss through the end of this century. Due to the small number of remaining populations and their vulnerable island locale, these skinks are also at risk of sudden population crashes from extreme weather events fueled by climate change. In September storm surge from Hurricane Irma, one of the strongest storms ever seen in the Atlantic Ocean, inundated the Florida Keys. 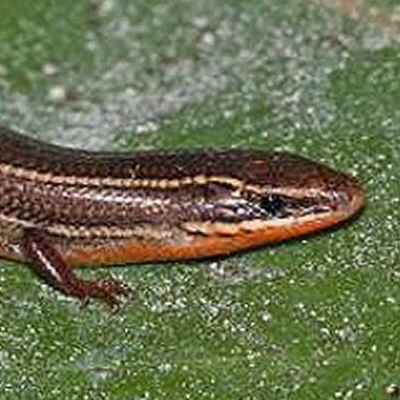 The Florida Keys mole skink is protected under Florida’s Endangered and Threatened Species Rule. It is time that the federal U.S. 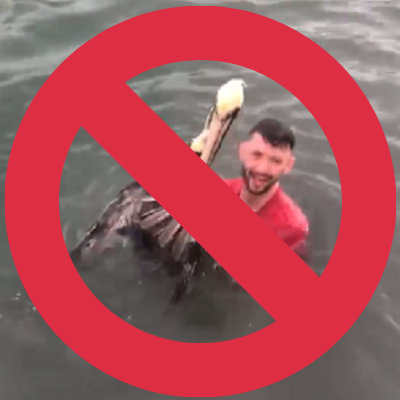 Fish and Wildlife Service does the same under the Endangered Species Act.